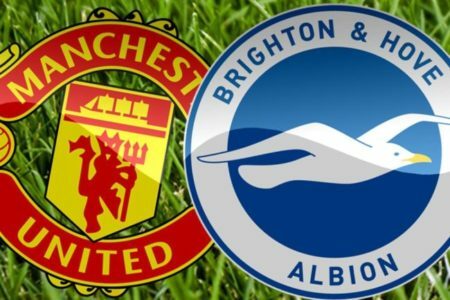 Manchester United host Brighton on Saturday afternoon knowing full well that a win could help us in our quest for Champions League qualification. We have won 5 league matches in a row leaving us only 6 points behind Chelsea, who play Arsenal tomorrow, in fourth place. Ole Gunnar Solskjaer has changed the mood at Old Trafford with his fresh brand of football, with a number of top players hitting top form under the tutelage of the United legend, most notably Marcus Rashford and Paul Pogba. United won against an in-form Tottenham last time out and will be confident of getting a win at Old Trafford against The Seagulls. We take a look at the probable lineup for the clash. David De Gea is currently enjoying the adulation of all and sundry at the moment after making 11 saves at Wembley, the most by any goalkeeper in a league game this term. The Spaniard is the undisputed number 1 at Old Trafford and is the first name on the team sheet, week in week out. On the left side of defence, Luke Shaw will be looking to build on his current form. The England international has reignited his career following a couple of mediocre years beleaguered by injury and is finally showing his ability. In the heart of defence, Phil Jones and Victor Lindelof have kept three consecutive clean sheets against Newcastle, Reading, and Tottenham. Both men have struck an impressive partnership and will be looking to continue in that vein. Ashley Young continues to defy age and logic at right back, and has won over fans with his unrivalled commitment and passion in every game. The partnership of Ander Herrera and Nemanja Matic at the base of midfield has been responsible for a more controlling midfield. Both men complement each other with their different attributes while further forward, Paul Pogba will be tasked with finding the final pass. The Frenchman looks reborn under Ole Solskjaer, and is finally showing the quality that made United shell out £89m for him in the summer of 2019. Anthony Martial has gone off the boil in recent matches but can use this game to cement his place in the starting XI given the fact that Alexis Sanchez is now back in full training. On the right, Jesse Lingard looks to have recovered his best form and will be confident of causing damage to the Brighton defence. Leading the attack should be Marcus Rashford, who has also hit top form at the right time, with the young English striker scoring the winner at Spurs.